This article is 3224 days old. 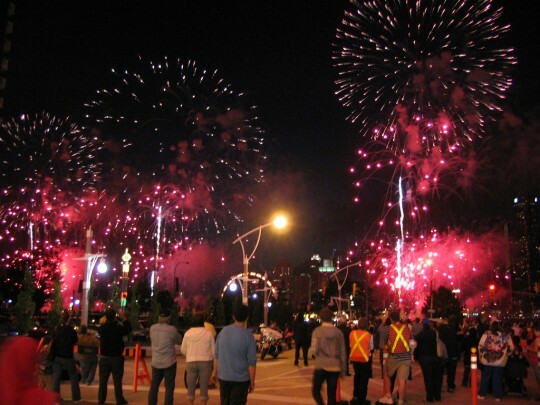 The Detroit River Target Fireworks are tonight, but don’t expect to drive right up to them. 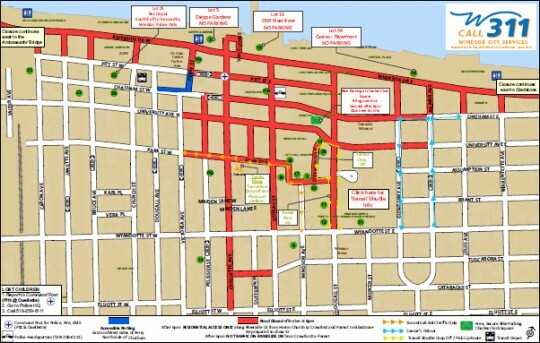 The City of Windsor has laid out a detailed map of street closures and detours downtown for this evening. The message: use transit. All City Buses are FREE after 6pm. Take the Crosstown 2 if you want to arrive on Wyandotte, or the Transway 1C to arrive directly at the bus depot. Your best bet may be to take a free shuttle from Devonshire Mall, sponsored by the area’s Zehrs: Great Food stores. Shuttle service starts at 6pm. Don’t want to bus-it? Why not bike? CycleWindsor.ca presents their annual Bike to Fireworks. Bike to Charles Clark Square, bring a lock, and enjoy the evening.